Style took centre stage as Nissan India launched the Nissan Micra Fashion – a limited edition car with exterior and interior styling elements inspired by the leading fashion brand United Colors of Benetton. It combines Benetton’s Italian fashion sensibilities and global taste with interiors brimming with structured patterns and a subtle array of colors. 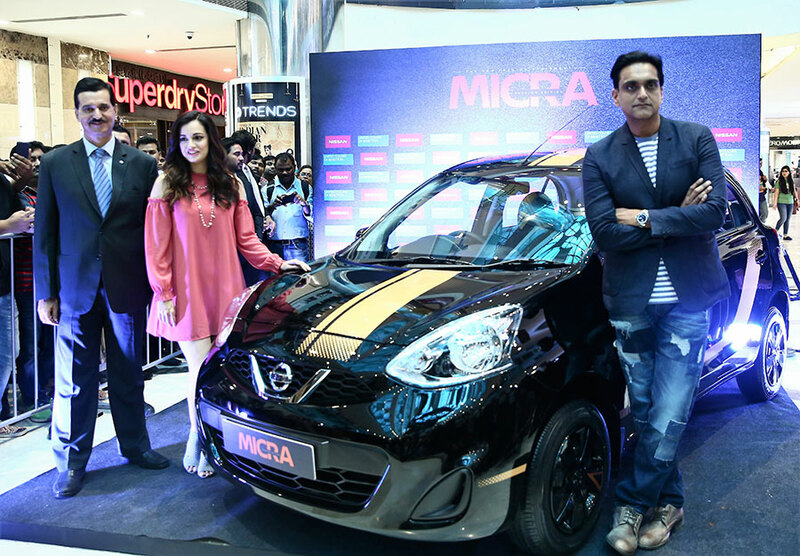 This new Micra variant was launched today at the United Colors of Benetton store in Ambience Mall, Gurugram, with the car revealed by Bollywood actress Dia Mirza. We are excited to offer our customers a new, stylish choice for the festive season. Nissan Micra Fashion Edition brings a sophisticated interior ambience with a host of new features and inspiration infused from Benetton’s rich heritage of Italian style and global research. The car combines high style and great performance thanks to the CVT automatic transmission for an engaging and comfortable driving experience. We are honored to serve as a fashion inspiration for Nissan’s latest automotive innovation, with our long standing Italian legacy of design, innovation and sustainability. Moreover, as a brand we are strongly committed to women empowerment and their safety, through our social campaigns. Nissan’s latest edition of Micra is engineered with an automatic transmission and NissanConnect, which has over 50 safety and security features. The offering therefore truly appeals to the youth and women of today, and bears strong synergies with Benetton’s social commitments and design aesthetics. Colors, innovation and sustainability lie at the very foundation of Benetton’s design philosophy, creating strong synergies and making Benetton a befitting inspiration for Nissan Micra’s Fashion Edition. Adorned with sporty decals and accentuated bold stripes, with the interior crowned with Benetton signature headrests, the new Nissan Micra Fashion Edition has been designed to spice up the festive season this year. This spirited and stylish car will also feature NissanConnect, Nissan India’s integrated information and communication platform that provides an enhanced driving experience through the user’s smartphone. 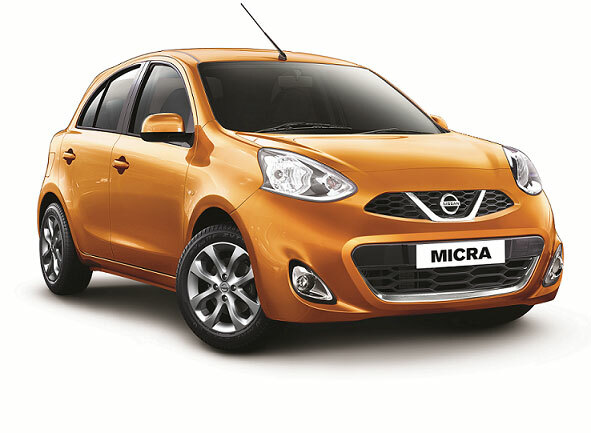 The Micra Fashion limited edition will be available during the festive season at INR 6.09 lakhs (ex-showroom, Delhi) across all Nissan dealerships in India. 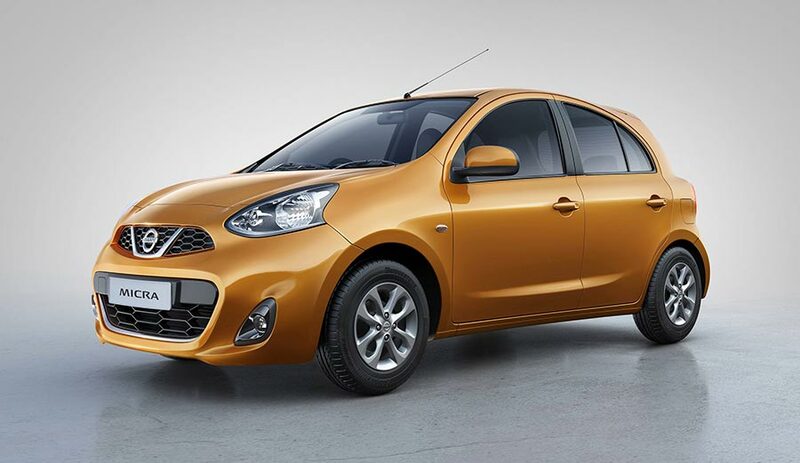 The Nissan Micra enjoys a loyal base of young consumers looking for elegance, quality and reliability in their cars. Now the desire for Japanese technology merged with European styling can be met with this attractive and stylish edition of the Micra. Based on the Micra XL CVT model, the Nissan Micra Fashion takes artistry and panache a notch higher with features such as new body decals on the side and roof; black door mirrors with designer stripes; new designer floor mats; Benetton-signature headrest covers; seats with orange stitching; and European black interiors with orange touches, among others. The first 500 customers of the Nissan Micra Fashion limited edition will receive a hamper with exclusive Benetton personal accessories such as belts and designer wallets for both men and women. This is part of the unique marketing association between Nissan and United Colors of Benetton specific to this launch. The Nissan Micra Fashion Edition will feature the built-in NissanConnect platform with a three-year free service package. NissanConnect includes a suite of connectivity services which offers a host of convenience, navigation and safety applications. It was launched by Nissan India in August 2017. The Nissan Micra’s fuel economy for the CVT automatic variant is 19.34 kmpl under ARAI test conditions. Owners can also avail of the 5-year extended warranty package. You can add more to this story by taking part in discussion.